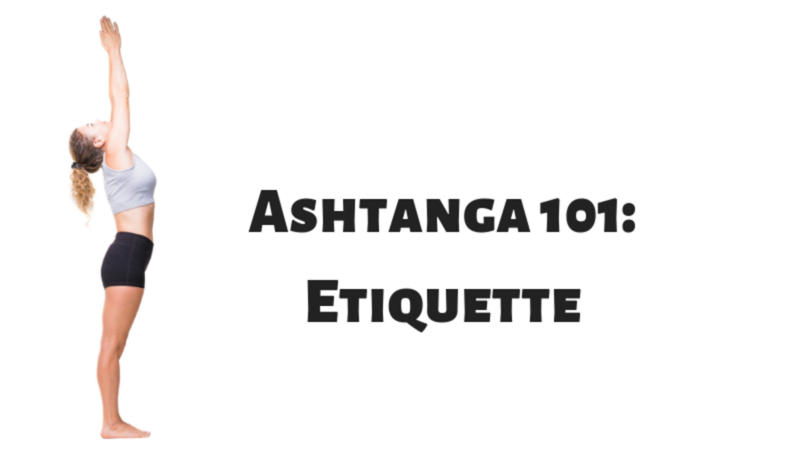 Now that you’ve learned your sun salutations, let’s talk about the etiquette of Ashtanga. I encourage students to follow the House Rules, meaning to follow the etiquette of the shala or Mysore room that you practice in. If anything is confusing or unclear to you, check in with a teacher or assistant to get the lowdown. In the meantime, here are some general guidelines to help you mind your manners. Show up to your yoga practice clean. Showering before practice is a general courtesy to your fellow practitioners and teachers, but it also sets a tone for the practice that this is not a workout. This is something that you show up to clean and put together for because it is a spiritual practice for both yourself and those around you.